Affirm you've completed all academic requirements for your degree and program. Meet with your academic advisor or committee to discuss your readiness for graduation. *Confirm your class schedule. Students must be registered for at least three credit hours during the semester in which they intend to graduate. View the graduation requirements and deadlines for your degree plan. Check your UTHealth school issued email (@uth.tmc.edu) regularly. Your UTHealth email is the only email our office will use to communicate graduation notices including missing items, degree audit information and any other information concerning your academic record. Remember to check it regularly to ensure you remain on track for graduation. *MD/MPH students should contact their staff advisor for enrollment requirements. no later than the last class day of the term prior to graduation. Complete the ILE approval form when registering for an ILE course and prior to the graduation application deadline. All graduating students in the customized MPH program must submit the Customized MPH Focus Area Identification form. International students must be registered full-time (nine hours fall and spring, 6 hours summer), unless they receive approval for less hours by submitting the Course Load Reduction Statement to the Office of International Affairs during their graduating semester. Contact your international advisor for additional requirements. Students must submit the appropriate form(s) for any course waivers or substitutions. 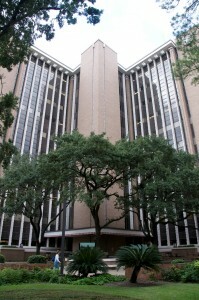 Students cannot graduate with an incomplete (I) in any UTHealth course. All Is must be resolved by the end of a student's graduating semester. Select degree plan below for an overview of academic requirements. For detailed information on degree and program requirements, visit the Degree Programs page. Note: Any additional practicum hours taken over the required three will not count towards the degree. Note: Any additional practicum or thesis hours taken over the maximum three hours each will not count towards the degree. Note: Any additional thesis, or optional practicum and thesis, hours over the maximum will not count towards the degree. Note: Any additional practicum or dissertation hours taken over the maximum will not count towards the degree. Note: Any additional dissertation, or optional practicum and dissertation, hours over the maximum will not count towards the degree. Students cannot graduate with an I received in any course. All Is must be resolved by the end of a student's graduating semester. What happens during the graduation process? Students apply for graduation and begin turning in requirements. A degree audit is performed by the Office of Academic Affairs and Student Services. Graduation candidates are notified if there are any issues with the audit prior to the end of the semester. Final grades are posted by faculty. Students who have successfully completed all academic requirements, including passing their final courses, are sent to the Office of the Registrar. The Office of the Registrar performs a final check and posts your degree completion on myUTH, your transcript and to the National Student Clearinghouse (degreeverify.org). How do I know which items are due and if I have holds? Click on the “To Do List Items” link to view your graduation checklist. Click on “Holds” to view current holds on your account. Will holds and items in my To Do list not related to graduation stop me from graduating? No, but they will bar you from receiving enrollment verification, degree verification (i.e. letters, transcripts, diploma, etc.) and enrolling if you will continue attending UTHealth for another degree. I applied to graduate in a previous semester. Do I have to resubmit everything? It depends on how far along in the process you were in the previous semester. What happens if I don't turn in all of the required documents by the deadline? Depending on the type of requirement, failing to meet the deadline date(s) could prevent you from graduating, cause a hold to be placed on your record or bar you from receiving any type of degree verification. I won't be able to graduate this semester. Who should I contact? Send an email to sphgraduation@uth.tmc.edu and copy your academic advisor. What is the official graduation/degree conferral date? The degree conferral date is the date that will be listed on the transcript and diploma as the date of degree completion. The date always falls on the last day of the semester. Non-dual-degree students are processed as graduates by the Office of the Registrar approximately 4-6 weeks after the last day of the semester. Dual degree students are processed approximately 4-8 weeks after the last day of the semester. The degree conferral date is backdated to the last day of the semester. When will I know that I’m an official graduate according to UTHealth? You will receive a congratulatory email from the assistant dean sent to your home email. You will receive your UTHealth alumni email address sent to your home email. Who should I contact for assistance with my thesis/dissertation? Information on diplomas, transcripts, degree verification and system accesses are available on the After Graduation page. UTHealth School of Public Health holds its annual commencement ceremony at the end of each spring semester. All students from all campuses who are awarded their degree during the summer, fall, and spring semester are encouraged to participate in the commencement ceremony. *International students with an F-1 visa who plan to apply for OPT should first contact their international advisor. Forms needing signatures by the Office of Academic Affairs and Student Services should be sent to sphstudentrecords@uth.tmc.edu or RAS E201. If you have a hold in myUTH with any departments at UTHealth, please contact the department directly to resolve them as soon as possible. Unresolved checklist items can turn into holds, and unresolved holds can bar you degree verification and further enrollment. Contact your international advisor for visa clearance procedures. Students should also visit and print the UTHealth Academic Calendar. Students enrolled in PHM 1496, PHM 1996, PHM 9998, submit form and final product to sphstudentrecords@uth.tmc.edu.